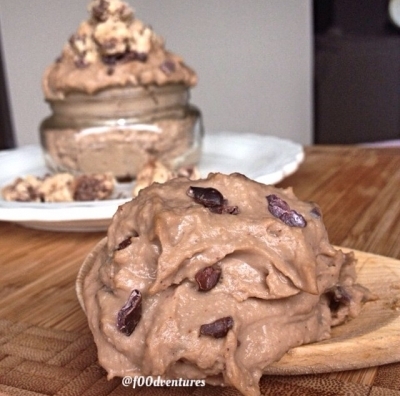 In a small sauce pan, Combine quest bar pieces with milk. Mix until mixture is smoothie and creamy. Add in the peanut butter and continue mixing until peanut butter is combined in the mixture. Transfer mixture to a food processor and add in garbanzo beans and Vanilla extract. Blend until mixture is super smooth and creamy. Add in handful of cacao nibs or chocolate chips and a few chunks of another quest cookie dough bar. Devour.